In WebWave - website builder with no coding - all new invoices are automatically sent to your e-mail. If for some reason, you need to download an invoice for a website, you can do it in just a few steps. Select your e-mail at the top right corner and enter account settings. 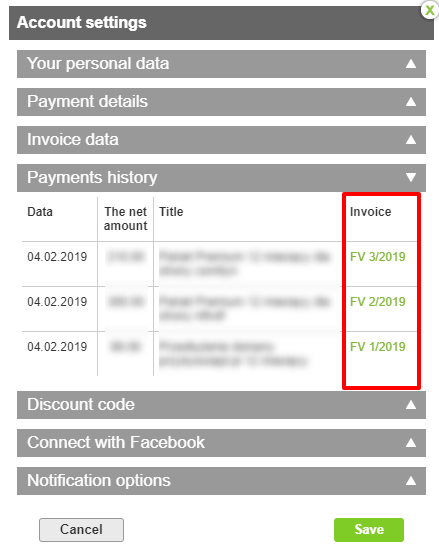 In a new window go to payments history. Select a number of an invoice. It will be automatically downloaded.